POLSON — An Elmo man has been charged with assault with a weapon and tampering with evidence following an incident in which he allegedly engaged in a jealousy fueled altercation with his partner. 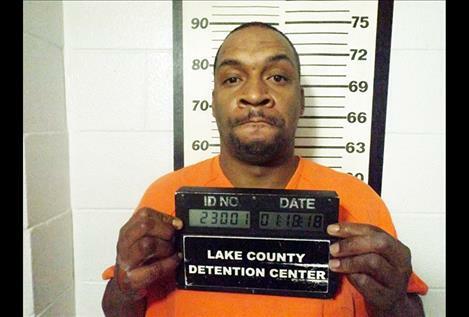 Calvin McCoy, 41, was charged in relation to an incident that allegedly took place on Jan. 17 and 18. According to a court document, McCoy was upset because a woman had received texts from another man. McCoy came at the woman with a fillet knife, the court document states, and executed a stabbing motion with the knife toward the woman’s forehead several times while he was standing over her. The man then demanded that the woman tell him that she was having an affair, which she did untruthfully, the document states. McCoy then allegedly threw the knife at a wall, which caused the handle to break and left divots in the wall. The next day the woman obtained a protection order against the man and later found the knife blade outside in ashes from a fireplace at the residence. When questioned by law enforcement, McCoy denied threatening the woman with a knife. He pleaded not guilty in district court on Feb. 1. A trial was set for July 16 after the case was transferred from Judge Kim Christopher to Judge James A. Manley. Defense attorney Ashley Morigeau filed a motion for the transfer, which requires a $100 fee be paid to the district court.